Last window washing season we were using a Google phone number as the main number for our window cleaning business. That phone number was 918-928-2667. At the time, I was unaware that one could not text in reply to an incoming call through google voice. I prefer not to take window cleaning related phone calls while in another customers home. It just seems a bit Unprofessional to me. Especially considering anyone and everyone can just get an instant window cleaning estimate through our website. 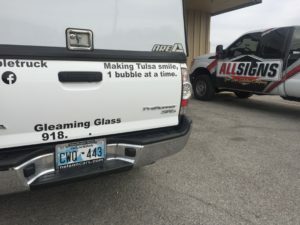 All they have to do is click the extremely obvious button on our home page, and then they’re on their way to getting an instant window cleaning estimate. At this time, we only provide window cleaning pricing through our website. Unless the customer has over 100 window panes. In that case we would consider giving an onsite window cleaning estimate. I kind of got off on a rabbit trail there, but that’s why we prefer not to answer the phone while we’re cleaning. Anytime I receive a call while on a window washing job, I have a pre-typed text message that I can instantly send the customer. That text message includes a direct link to the homepage on our website. More often than not, the person calling is able to get a window cleaning estimate before we are even done cleaning at the job we were on, when they first called. That is a win for the customer and a win for us. Within just a couple of minutes the customer knows exactly how much we are going to charge them to clean their windows. At that point, they could decide to schedule a cleaning with us or go with another window cleaning company. The customer is able to do all of this without us even having to contact them. There is also the convenience of not having to schedule a time to go out and look at their windows. Nor did we have to spend the time and gas money to make the drive out there. All that to say, I really like the pre-typed instant reply feature offered with iMessage on the iPhone. That feature was not included with google voice. As a result, we have decided to put my mobile phone number on the truck for advertisement. 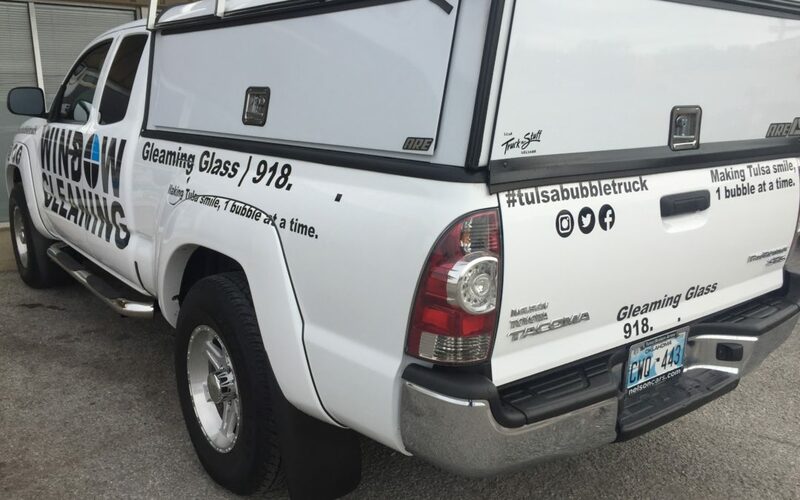 Another benefit to this is that when people see my truck while I’m driving, and they decide to call me to get a window cleaning estimate,I don’t have to talk on the phone while I drive. I can just quickly press one button that simultaneously sends the potential customer to voicemail, and sends them a text message with a direct link to our website. I spent about an hour today prepping the truck for tomorrow’s phone number installation. That basically involved just removing the previous vinyl lettering of the old Google voice number, and then removing all of the adhesive left over. Fun fact, for anyone who might have to remove vinyl lettering from a vehicle in the near future, I would highly recommend using Goo-Gone. It was extremely effective in removing the leftover adhesive. I’ll try to remember to put some pictures below of what the truck looked like after I finished removing the numbers. Tomorrow I will be driving over to ALL SIGNS owned by Jeremy Warren, to get the vinyl lettering installed. I have used ALLSIGNS For all of my advertising needs on my vehicles. They always do a great job and the price is fair as well. I’ll be sure to post another blog post tomorrow with pictures of the new phone number on the truck. This is what the truck currently looks like with the last couple numbers of the phone number removed.